'HUSTLES' chronicles Local Studio’s first 12 built projects and five years of practice in the City of Gold. 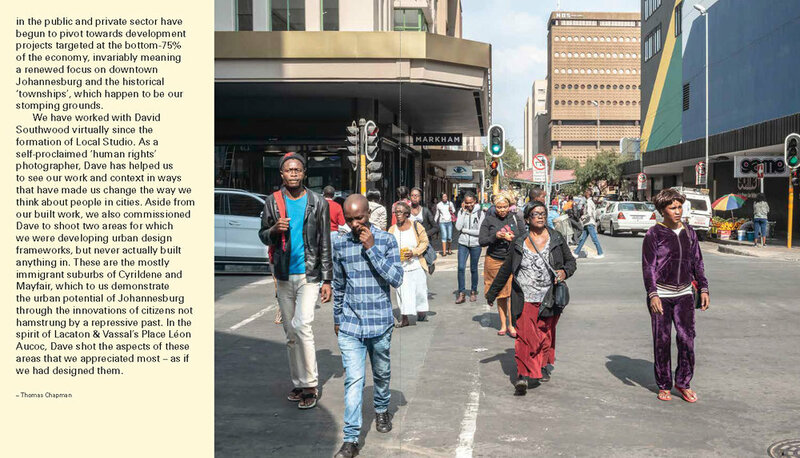 JOHANNESBURG, August 1, 2018 – ­ The book, published by Local Studio and Dave Southwood, documents the first twelve buildings designed and built by the Johannesburg-based architecture firm, founded by Thomas Chapman in 2012. 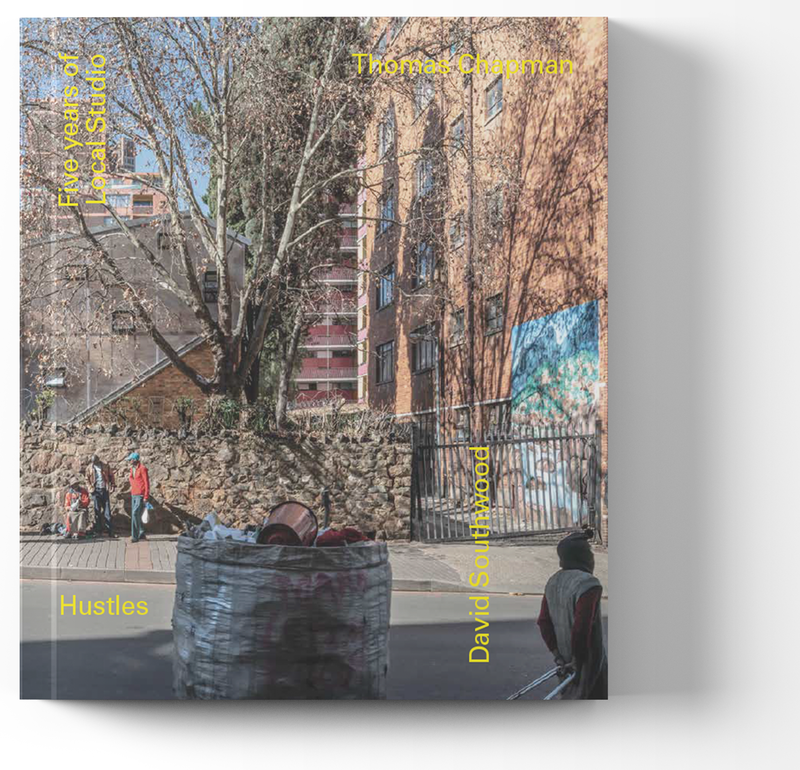 Co-authored by Chapman and photographer David Southwood, with Illustrations by Michael Tymbios, Hustles takes the reader not only into the buildings themselves, but also gives a detailed account of the often chaotic context of Johannesburg in which the buildings exist. The greatest structural problem of the writer of short stories is to strike the proper balance between the effort for economy of means – which tends to conciseness – and the effort for the utmost emphasis – which tends to amplitude of treatment. Lightness is a key quality of Local Studio’s projects. By lightness I mean a bright, airiness and also a sense of play. The proliferation of modes available to architects means that lightness when engaged reduction ad absurdum is often too great a ploy for practitioners to resist and buildings can disappear at the wrong moments entirely. Negotiating the symbolic and actual weight of the type of complex project which Local Studio design and realize requires design skill and a sense of appropriateness. Without doubt the most offensive buildings I have seen in this country are spiky community centers made by architects who ‘sense of play’ or lightness is a misplaced, patronizing frivolity. Its refreshing and necessary to see this sense of lightness and play be communicated via materials, form, and light- a language for all, which is relatively ahistorical and apolitical. The built South African landscape needs a retort to the last generation of macho, opaque modernist edifices. Broken clocks which are hard to adapt and force certain views. Local Studio’s work is like short stories. By this I mean a particular power to weight ratio and again a certain economy of means. The decision to work in the cultural, civic field implies limited resources and maybe it’s been due, in part to tight parameters and limited means, that such innovative, sustainable solutions to problems have emerged and Local Studio’s buildings have been able to individuate themselves so early on, and with such ease and functionality. While building with unlimited resources can chamfer a process and make for impressive structures I feel that being able to absorb the vagaries of working in Jhb and make the most out of them embeds a in a project a sort of indigenous knowledge, being as a function of context in the broadest sense.